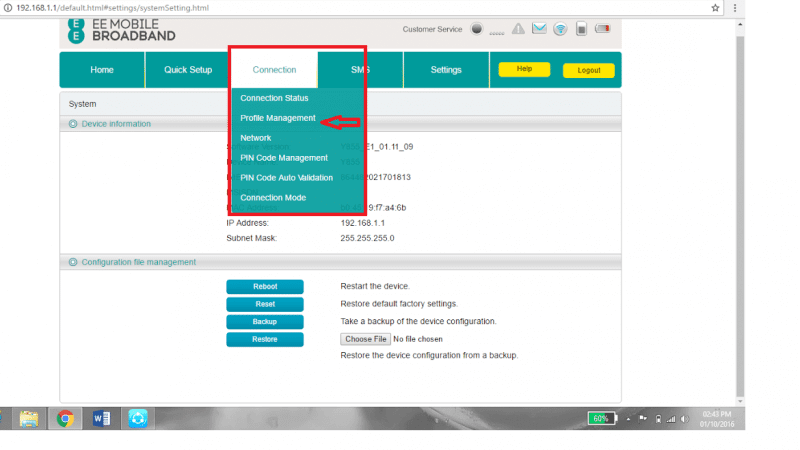 Home Unlock Alcatel How to Unlock Alcatel Y580 WiFi MiFi Router? 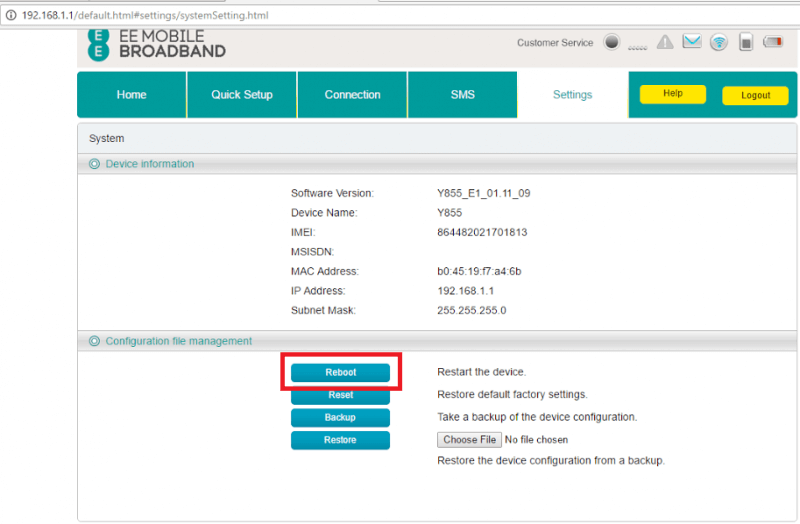 How to Unlock Alcatel Y580 WiFi MiFi Router? Alcatel has launched a new mobile WiFi router, dubbed as Y580. Its sub-model Y500Q is available in Canada through Wind carrier. You can also find this device through Surfline or Tigo of Ghana, O2 of Czech Republic, Beeline of Russia, DiGi of Malaysia, and EE of U.K. Another sub-model Y580D (MTC 411D) is available in Russia, which is locked to MTC (MTS) carrier. 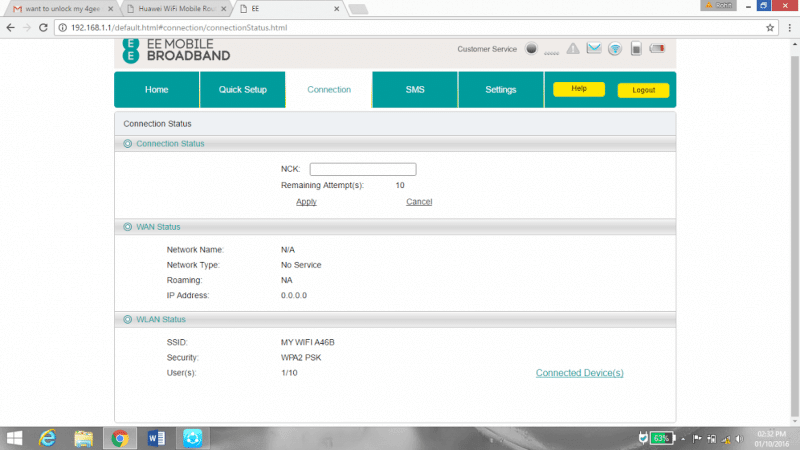 How to Unlock Alcatel Y580 Mobile WiFi Router? 1. Switch off Alcatel Y580. 3. Connect to PC with its default USB cable. 4. Browse its IP (192.168.1.1) in Internet Explorer or any other browser. 5. 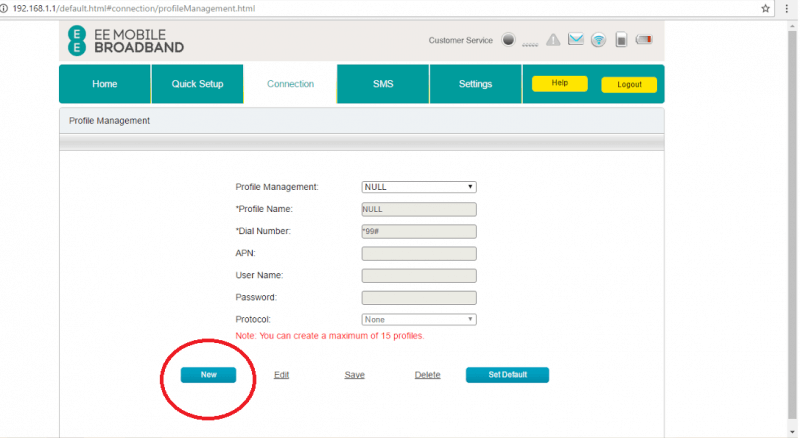 Log in to the device with admin username and password. 6. Click “Connection” menu to get the NCK screen. 7. Enter the correct 10-dgit NCK code and click on “Apply” button. 8. Once the code is accepted, it will be rebooted automatically, if not then go to Settings and click Reboot button. 9. Again login to the device. 10. Go to Connection > Profile Management. 11. Click New and fill the fields. 12. Once the details are entered correctly, click “Set Default” button. 13. Now connect to the internet. Note: Don’t use any free/wrong codes, if interested then place an order and mention the IMEI in the transaction. Also Read: How to Unlock Alcatel Y855 (Y855v) EE UK Mobile WiFi Router?